I wrote in my October newsletter of how I'd sold three reprints to the new Re-Imagined anthology series, edited by Kelly A. Harmon and Vonnie Winslow Crist. 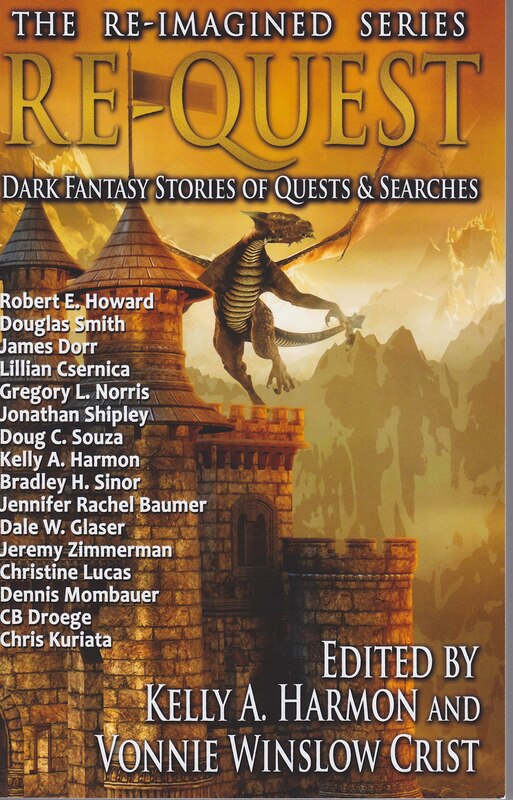 The series features reprints of previously published stories, many of which are award winners or finalists (like my stories) or from big name authors (like Robert E. Howard and Nancy Springer). Each anthology is for a different genre. I wrote earlier that my space exploration story, "Symphony," appeared in the SF-themed Re-Launch, the first in the series. This month, my Japan martial arts / love story / fantasy, "The Red Bird," appears in the fantasy-themed Re-Quest. "The Red Bird" first appeared in the Canadian magazine, On Spec, and was a finalist for the Aurora Award. Check out the awesome cover at the right. Very cool to see my name listed below the great Robert E. Howard of Conan fame. 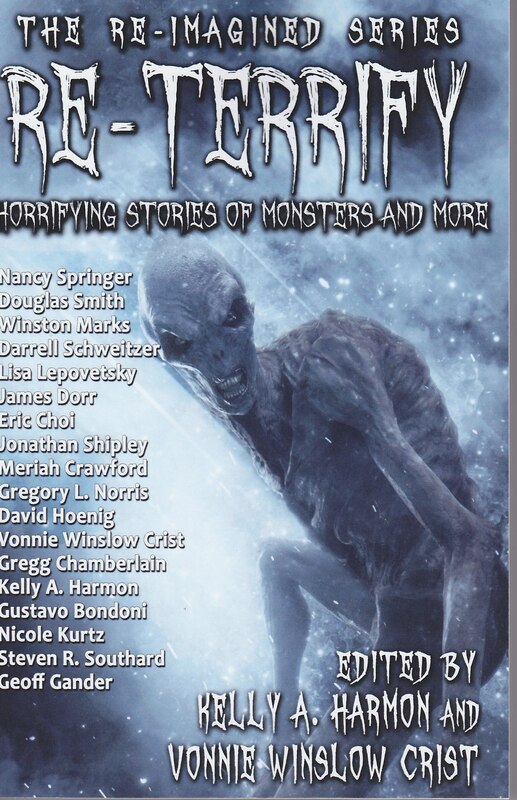 And also this month, my supernatural horror story (which inspired an indie short film), "By Her Hand, She Draws You Down," appears in the horror-themed Re-Terrify. "By Her Hand" first appeared in The Third Alternative magazine in the UK and was later selected for The Mammoth Book of Best New Horror #13. I hope you'll check them out and support the series.